Does Your Franchise Or Business Opportunity Need A Marketing Boost? Wouldn’t it be great to have highly-qualified franchise candidates in front of you on a consistent basis? The only way to get a significant number of candidates in front of you is by doing a lot of smart things at the same time. The days of only relying on advertisements, PR, franchise shows, and other assorted marketing initiatives is over. Thank you for inventing the internet, Mr. Vice President. Thanks to you, marketing as we know it, has gone away. Now, we have to try to figure it out all over again. 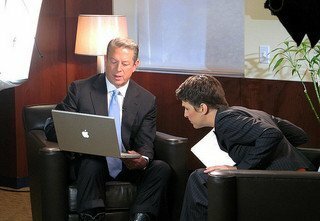 Fact: I have no idea if Vice President Gore invented the internet. And, I don’t want to get into some type of strange debate over it. Fact: Someone invented the internet, and it’s here to stay. You (we) just have to know how to leverage it’s awe-inspiring power. In order to get leads these days…in your case, candidates, a number of things have to take place. One of the things you need to do is make sure your opportunity can be easily found online. You can have the best website around, but if not enough prospects are visiting it, nothing’s going to happen. 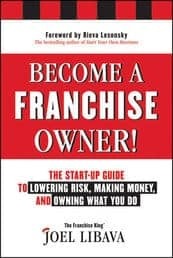 I have a a unique way to get more qualified franchise candidates in front of you. Actually, it’s a combination of things. Things I do…things that will help you get highly qualified and very interested candidates in front of you.